We celebrated Sri Krishna Janmashtami in a grand manner on Monday, August 14th. We celebrated the Divine Birth of Lord Sri Krishna. Janmashtami was celebrated in the august presence of CMSJ Resident Acharya, Pujya Swami Advaitanandaji. We began the evening with Bhajans by Chinmaya Swaranjali followed by Puja conducted by Pandit Ravichandranji. 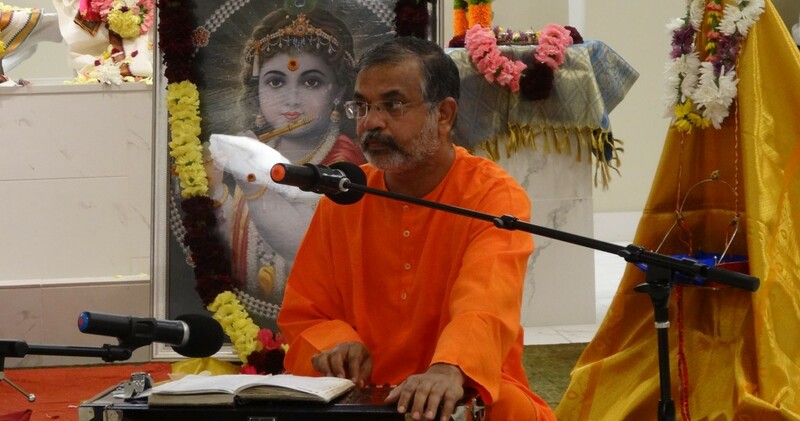 Pujya Swamiji delivered a special Janmashtami message after Puja. This was followed by a presentation on Chinmaya University. Delicious dinner prasad was be served to all.